Visitors discover an island overflowing — year around — with compelling events, fascinating festivals and inspiring athletic challenges. 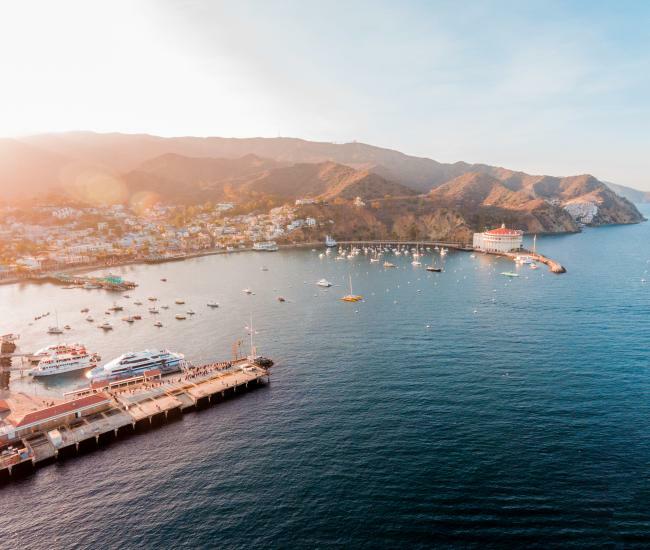 Epic parties like the Catalina Wine Mixer and Buccaneer Days; great concerts, including JazzTrax and the Catalina Concert Series; and cultural celebrations, such as First Fridays at the Museum and the Catalina Art Festival are just a few of the many must-do events not to be missed. Click here for a listing of Two Harbors Annual Events. 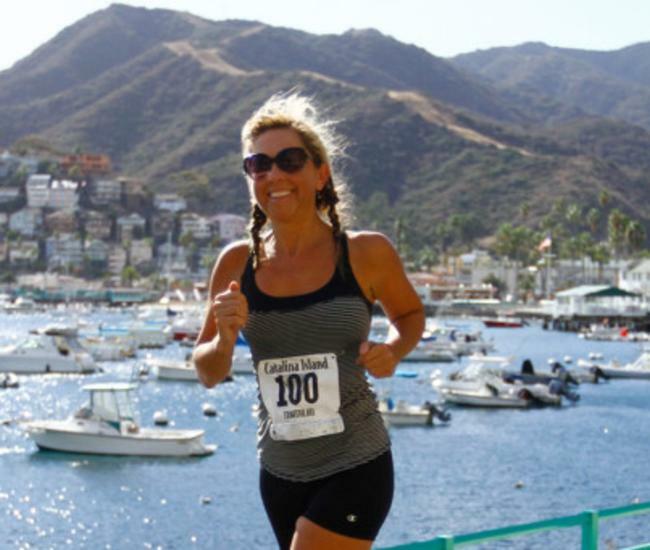 Avalon Benefit 50K/50 Mile Run - This annual run crosses Catalina Island from Avalon to Two Harbors and back. Annual Avalon Harbor Underwater Cleanup - This is the only time of the year that SCUBA diving is allowed in Avalon Bay. An Evening with Oscar - A benefit for the Catalina Island Medical Center. Annual Catalina Island Conservancy Ball - This black-tie event includes dinner, dancing, silent and live auctions. Spring Fest - Community event featuring food, music and games on Crescent Avenue. Catalina Spring Art Fair & Craft Festival - 3-day art fair featuring local and mainland artists, crafts and entertainment. Easter weekend. The Avalon Ball - Glimpse the glamour of a bygone era. Dean Mora and the Avalon Ball Orchestra play hits from the 1920s and 30s. Annual 4th of July Dinner & Fireworks- USC Marching Band performance, BBQ buffet dinner and fireworks from the Casino balcony. 4th of July Parade - Music and golf cart parade on Crescent Ave.
Descanso Beach Club Beach Party - Saturdays & Sunday from 2-5 pm. Summer Concert Series - Free family-friendly concerts on Wrigley Stage on Crescent Avenue. Summer Beach Bingo - Tuesday & Thursday from 6 to 7 pm by the South Beach lifeguard stand. Kids Fishing Derby - Wednesdays at 7 am at the Green Pleasure Pier. Annual Catalina Channel Crossing - U.S. Outrigger Championships. Catalina Wine Mixer - Step Brothers-inspired event with live bands, food booths, wine tasting. Catalina Island Women’s Forum Wine Festival - Annual Charity Fundraiser. Catalina Film Festival - Over 100 films screened at multiple venues with awards in up to 10 categories. 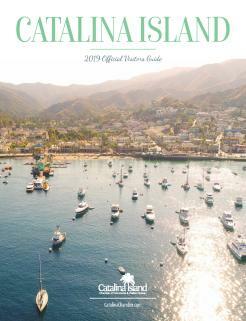 Annual Catalina Festival of Art - Artists from all over exhibit their fine art, sculpture, crafts and photography. Catalina Island JazzTrax Festival - The annual event takes place over two weekends and features over 30 jazz stars performing at Descanso Beach Club and the Casino Ballroom. Fall Fest - Community event on Crescent Avenue featuring food, music and games. Annual Halloween Parade - Grab your costume and join the parade down Crescent Avenue. 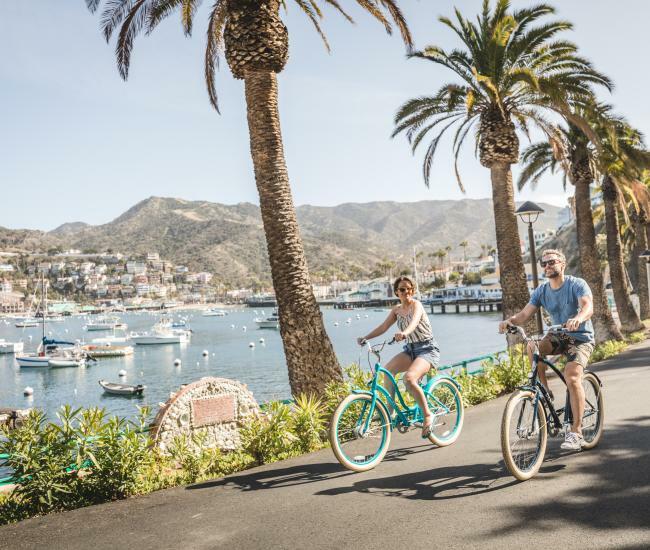 Catalina Island Triathlon & Duathlon - Swim, bike and run around Catalina Island. New Year’s Eve Celebration - Casino Ballroom.